It has been estimated that people spend about 90% of their time in both private and public indoor environments, such as homes, gyms, schools, work places etc. ; thus, IAQ has a significant impact on health and quality of life in general. For many people, the health risks from exposure to indoor air pollution may be greater than those related to outdoor pollution. In particular, poor indoor air quality can be harmful to vulnerable groups such as children, young adults, the elderly, or those suffering chronic respiratory and/or cardiovascular diseases. 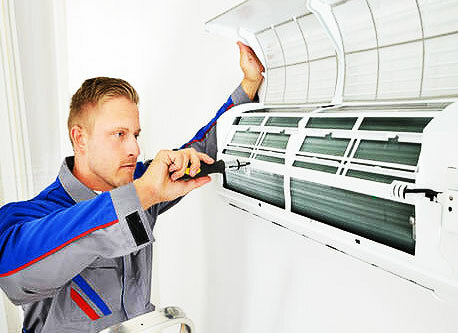 In Supera we take it as our mission to MAKE A DIFFERENCE in the indoor air quality that you breath in every day by a greater level of AC technical services. Supera Technical Services was founded in Dubai, United Arab Emirates in 2015. We have served 500 customers. Our key service portfolio includes AC maintenance, AC sanitation and hygiene and Duct Cleaning using the latest technology and equipment. We are also helping our clients with home maintenance services like painting, plumbing, electrical fixing and handyman services. It is our biggest priority to help you when you need us. We care of your air and home.